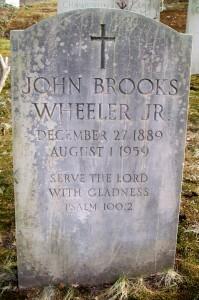 Born: December 27, 1889 in Middlebury Vt.
Died: August 1, 1959 in Boston Ma. 1. 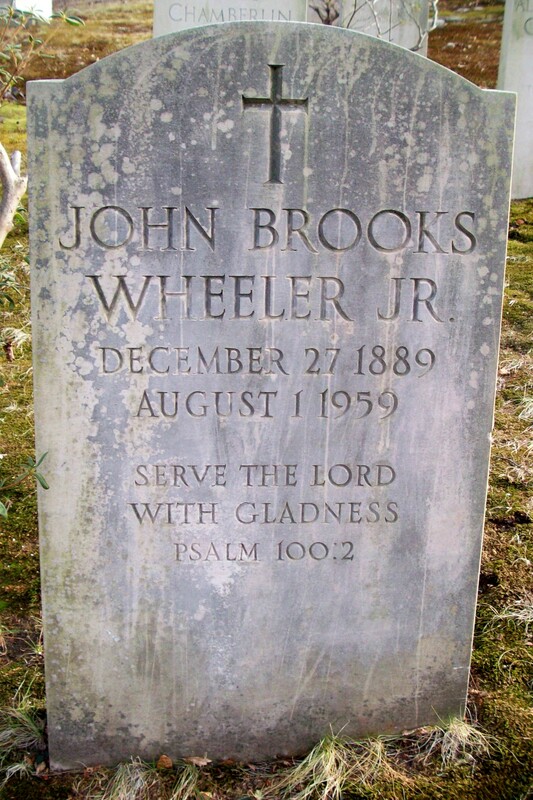 John Brooks Wheeler, lll; (May 22, 1918 – December 8, 2001); Married Helen Mae Moylan (1925 – 2000); John, lll & Helen are buried in Cataumet Cemetery. 2. Sarah E. Wheeler; (Abt. 1921 – ? ); No further information. 3. 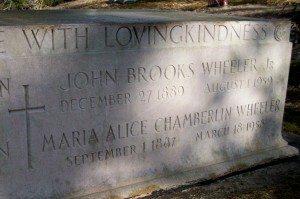 George William Wheeler; (December 23, 1924 – March 9, 2002); Married Margaret Cameron (1923 – ? ); George & Margaret are buried in Cataumet Cemetery.